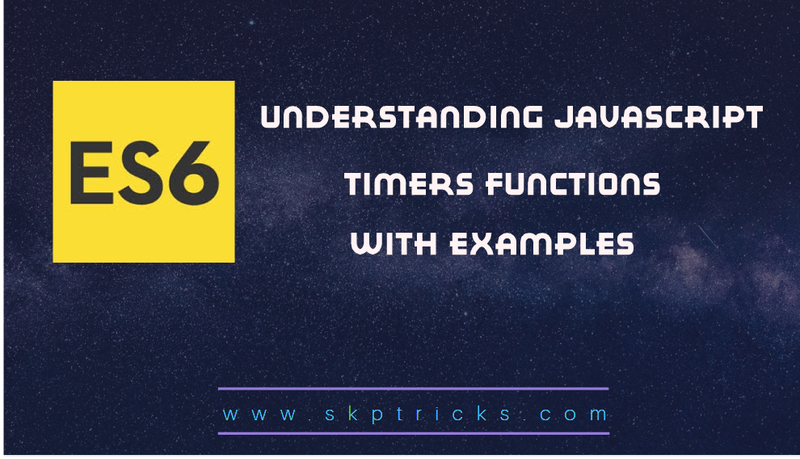 setTimeout allows to run a function once after the interval of time. setInterval allows to run a function regularly with the interval between the runs. clearTimeout will stop the current running timer function. The job of setTimeout is straightforward. You specify the callback function to execute later, and the value expressing how then you want it to run, in milliseconds. func|code : Function or a string of code to execute. Usually, that’s a function. For historical reasons, a string of code can be passed, but that’s not recommended. delay : The delay before run, in milliseconds (1000 ms = 1 second). > "display value:- one" "two"
> "This is a example for setInterval"
This functon helps to stop current running timer function. Lets see the below examples for more information. Let see the setTimeout function example using clearTimeout function. This will help to stop currently running timer function. Let see the setInterval function example using clearTimeout function. This will help to stop currently running timer function.